Some of my site visitors have told me they would like to know how to tell when a new link has been added. I will no longer be alphabetizing the links. The most recently added link will now appear at the top-starting with number 1. Hopefully this will make it easier to check out new rooms. Custom Style by Brooke Totally fabulous workspace. Really nice photos. Quilting Lady 21 solves how to pack it all in neatly! Carol Taylor's Studio. Carol is a wonderful Artist and her studio and quilts are fabulous. Diane in Germany has a nice room scroll down page for a must see dress form! 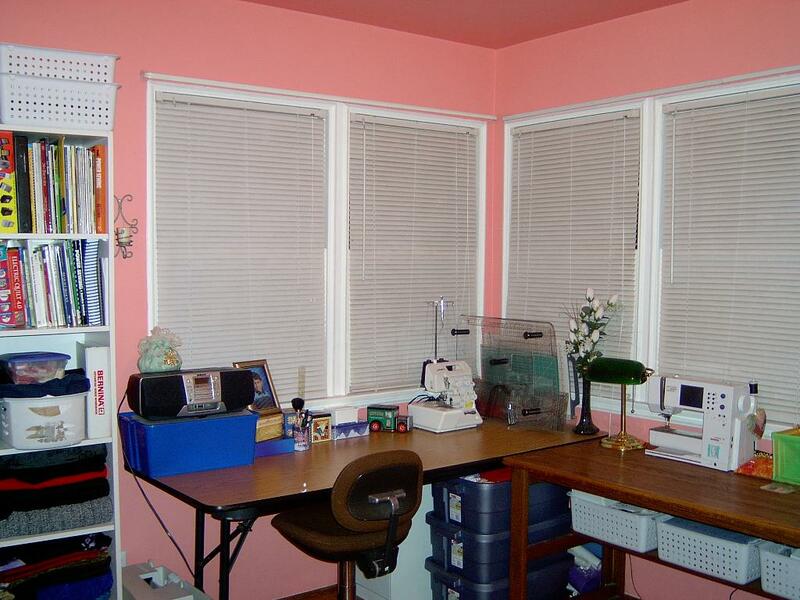 Jennilee's Sewing Room (Jennilee is the Queen of the state of being well organized) This link has many great photos.